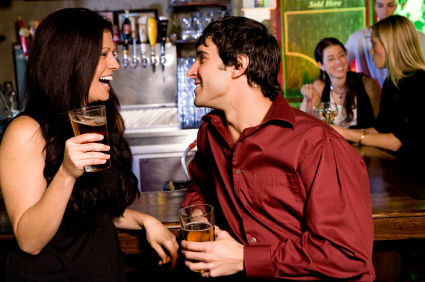 This is what I always hear from guys, “Yue, it’s very easy to find attractive women, but why is it so hard to have a decent conversation with any of them?” Sure, we can blame it on lack of brains and social prowess, getting by on looks alone, or overall disinterest in being interesting. But after taking this course about the art of conversation, I have to say that it’s because most people are terrible conversationalists! Including yours truly. And here’s how you know you are a great conversationalist: you never have a boring conversation. Recently I discovered Life Labs, an organization that offers classes for adults beyond the classroom basics. As they put it, “We are an incubator for ideas on living wisely and well, offering courses, labs, and events for the common good.” Some of the courses include The Seeing Lab (detecting micro-expressions), The Coolness Lab (what makes someone cool? ), and the course I took, The Yapper Lab (the art of conversation). Too bad they’re only offered in New York, but you could always request them in your town. So is it possible to never have a boring conversation? Apparently so. And that’s why I’m going to share what I learned in class with you guys in The Art of Conversation series. A lot of guys view talking as a chore. That’s the wrong mindset, buddy. Conversing is a process of discovery. If you talk to every girl you meet as potentially the most fascinating conversation to be had, you’ll be excited to yapper. Dating nowadays is like going on job interviews. The same topics are discussed over and over again. I remember going on a date once where this guy was literally like, “OK, so what’s your story? Where are you from? What do you do? Where did you go to school? Blah blah blah.” It made me wish I didn’t waste my time shaving my legs that day. Yes, these topics are the basics and should be discussed, but doesn’t all have to vomit out at once. A conversation is a free flow of information driven by topics. If “where are you from” leads to a conversation about racist blind people, then that’s what you should discuss. The fun part is to spontaneously end on something you’ve never talked about before – such as, well, racist blind people. In the class, the instructor showed us an observational study of a group of kids who didn’t know each other, socializing in a room. All the kids had pretty standard conversations with each other – favorite toy, favorite color, favorite teacher, etc. However, there was one 6-year-old girl, we’ll call her Suzie, who everyone enjoyed talking to. In fact, they all voted her as the person they liked talking to the most. What was Suzie’s secret? Suzie asked interesting “spark questions” that made the other kids more engaged, such as “When did you first know you were no longer a baby?” Suzie’s enticing questions stemmed from her natural curiosity and creative thinking. In today’s world of cell phones, iPads, iPods, the internet, humans are constantly competing for each others’ attention. People just want to be heard. In multiple research studies presented in the class, it showed that people enjoyed having conversations with those who seemed genuinely interested, even if they contributed little or no words. I find that on dates, we’re constantly trying to impress each other with how interesting we could be. The problem is, nothing gets heard. Don’t stress yourself out so much with trying to find the next interesting topic that will blow her mind. Sit back, relax, and just listen. PRACTICE “STICKY EYES” – Make a point to notice the eye color of everyone you speak to. This is a precursor to showing you’re interested in what they’re talking about. But be careful, “sticky eyes” does not equate to “creeper eyes.” Staring? Baaad. Strong eye contact? Goood. Also, her eyes are up here.